— COMPARING THE TOP CHOICES — Since the beginning of the powersports movement, a performance exhaust system has been the quickest way to pick up a few extra ponies. In today’s high-tech world the aftermarket has emissions/noise standards that have to be met and can utilize more costly, high-tech materials to cut weight and further increase performance. 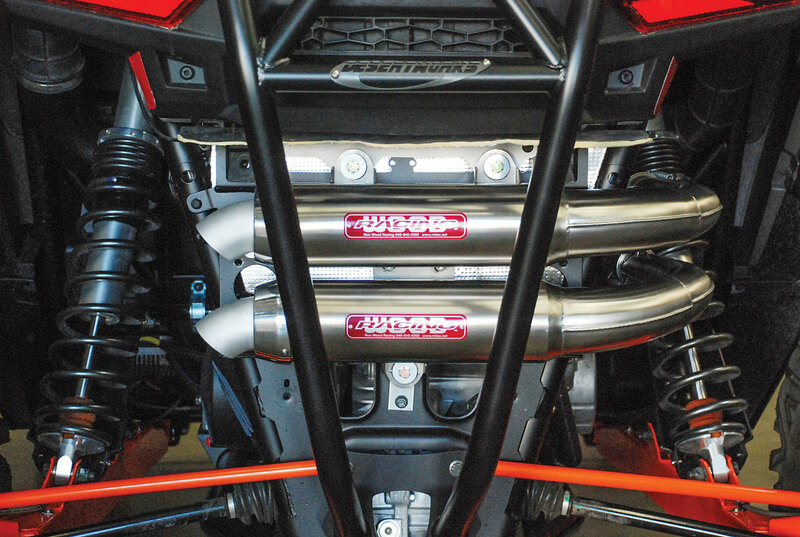 Polaris’ RZR XP 1000, XP Turbo and XP 4 are all rippers in stock form, but there are many companies making exhaust systems that will significantly improve their performance. We put together this guide to help you decide which one’s right for your ride! 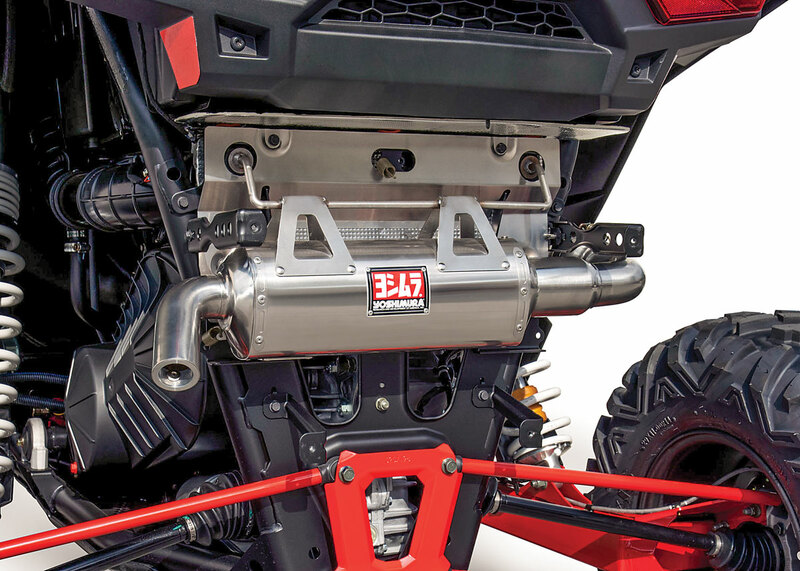 Construction: The Barker’s XP 1000 exhaust system is made with 2.25inch 304 stainless steel headers connected to 18-inch, dual, brushed or powder-coated, aluminum canisters with billet-aluminum mounting brackets. Features: Barker’s claims its XP 1000 exhaust saves 5 pounds and adds 3.5 horsepower with noticeably better throttle response. 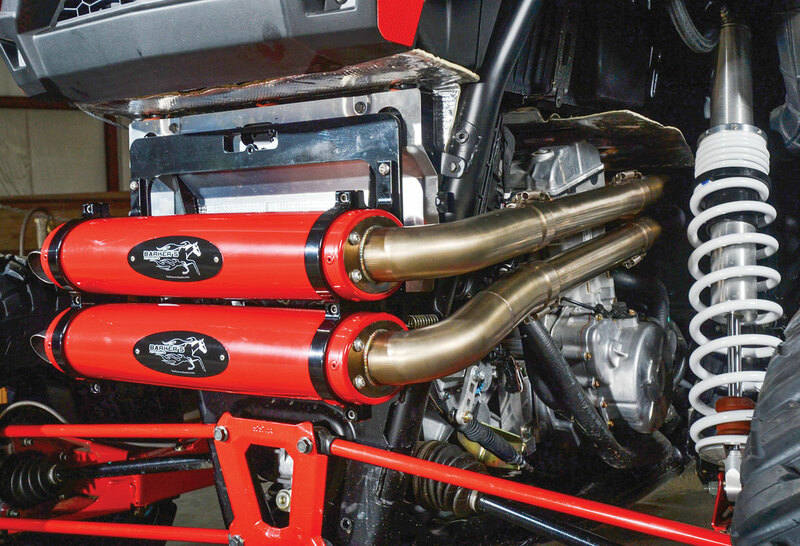 The exhaust is available in brushed aluminum, black or red powdercoat with black or red billet clamps. Barker’s highly recommends a Power Commander V Fuel Controller to avoid lean and hot conditions. Construction: Lightweight, brushed-aluminum mufflers use a hexagonshaped, large-diameter housing for increased volume. The exhaust uses 304 stainless steel coned inlets for more volume, and the reinforced muffler brackets are TIG-welded for strength. Stainless steel end tips are black powdercoated. Features: The Big Gun EXO uses internal sound-wave-altering technology for reduced sound output, and the larger, hexagon-shaped canisters provide additional sound damping. The EXO is said to provide significant horsepower and torque gains with decreased heat. It includes a removable screen-type spark arrestor and a one-year warranty. Handmade in the USA. 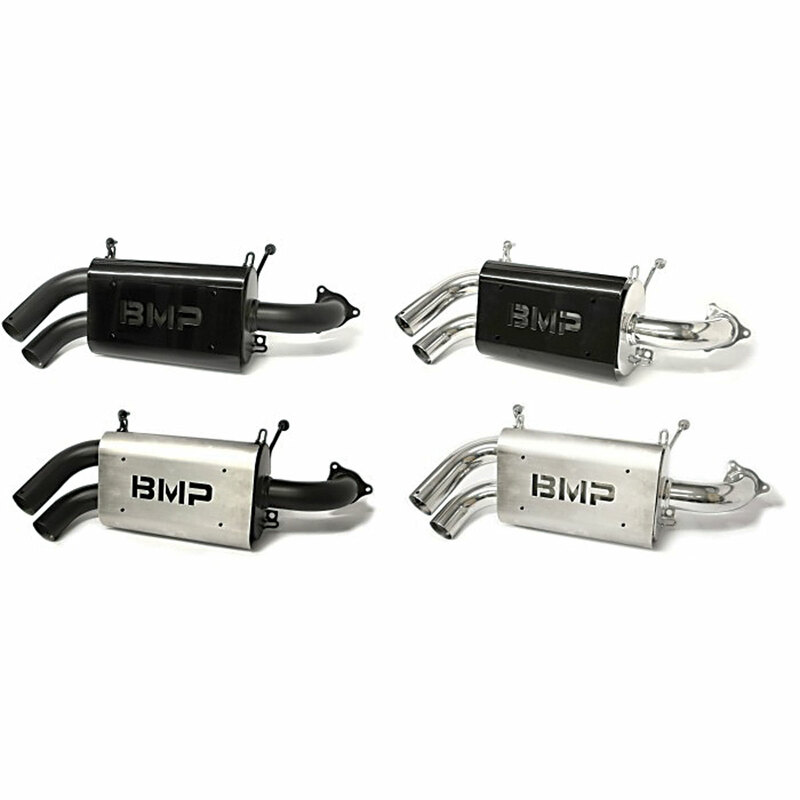 Construction: You can get the BMP Full Double Barrel exhaust in ceramic chrome or ceramic black finishes with a stepped header design. Features: BMP claims an incredible 11–12-horsepower gain with its Bully Dog programmer. The exhaust is designed to be highly adjustable with a killer sound that isn’t obnoxiously loud. 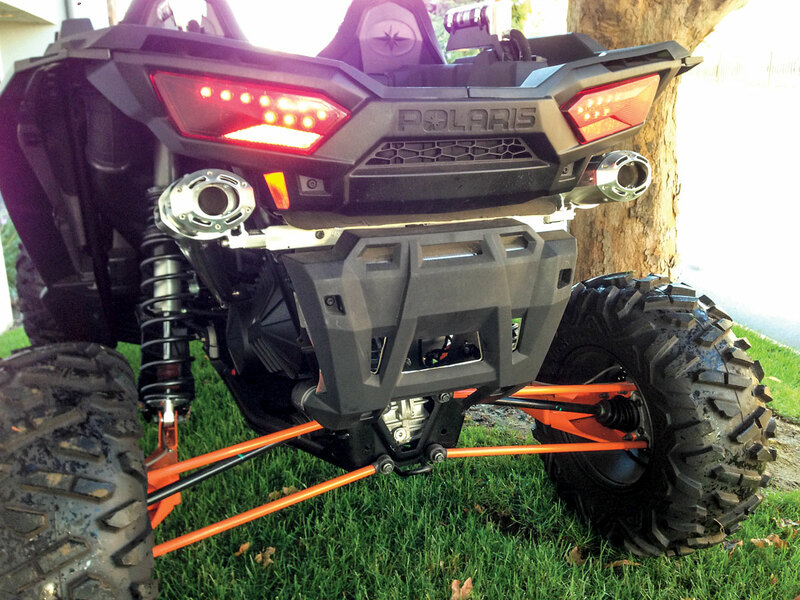 It is also designed to accept the stock Polaris spark arrestor. Construction: The X-6 is available as a slip-on or full system with 6061 T-6 muffler components and high-grade stainless steel tube construction. Proudly made 100 percent in the USA. Features: The Sparks exhaust sheds 6 pounds compared to the stock muffler and includes spark arrestors. Quiet inserts are available should you need them, and a Dynatek FS/Fusion EFI controller is highly recommended for proper tuning. Construction: This is a packing- and maintenance-free design with a black canister and polished stainless steel inlet and outlet tubes. Features: This super-easy-to-install slip-on system uses your stock spark arrestor and heat shield. It offers the power you are looking for without the obnoxious sound. 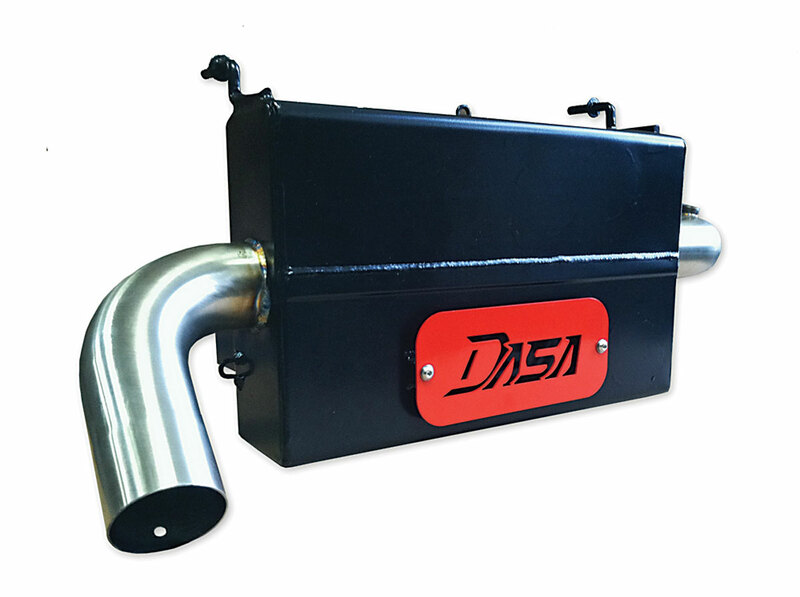 The DASA slip-on makes a 9-percent gain and requires a plug-and-play fuel programmer for proper operation. 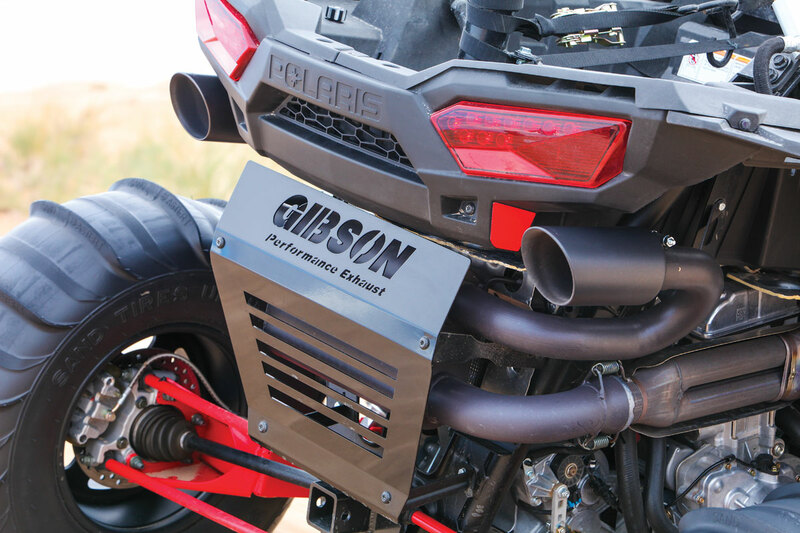 Construction: Gibson Performance Exhaust uses stainless steel construction with a non-packed muffler design, black ceramic coating and inter-cooled tips. Features: Gibson’s non-packed muffler design guarantees a consistent level of sound and performance quality for the duration of your vehicle’s lifetime. 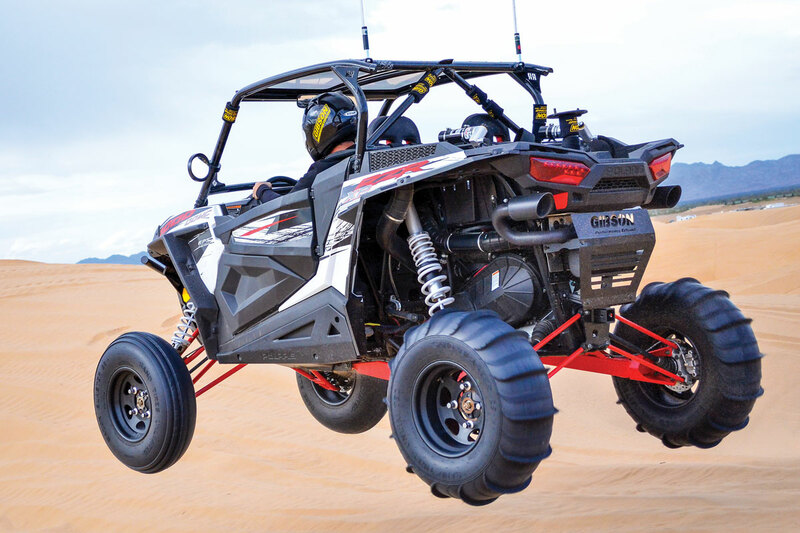 The XP 1000 system offers an increase of 2–4 horsepower at the rear wheel, 3–5 foot-pounds of torque and 2–3 mph. The Gibson exhaust is available with single or dual outlets with a stainless or black ceramic coating. 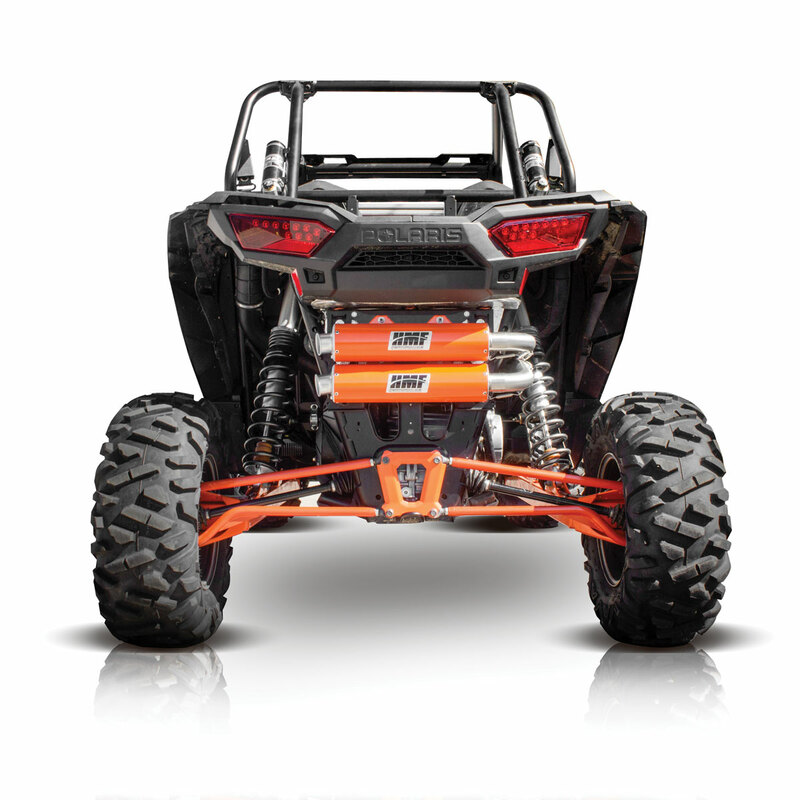 It includes a USFS-approved spark arrestor and lifetime limited warranty. Construction: The Titan is a complete stainless steel system built to withstand extreme temperatures, torque and horsepower with increased durability. It is made entirely from 304 stainless steel with massive 5-inch canisters. Features: The Titan claims maximum horsepower and durability with minimal sound if you choose the QS with its mechanical core design, or the free-flowing Titan-XL features an unrestricted internal core for maximum horsepower at an incredibly loud volume. HMF absolutely recommends using the Dobeck AFR + Gen 4 fuel controller and can produce north of 16 more horsepower when used in conjunction with an ECU re-flash. 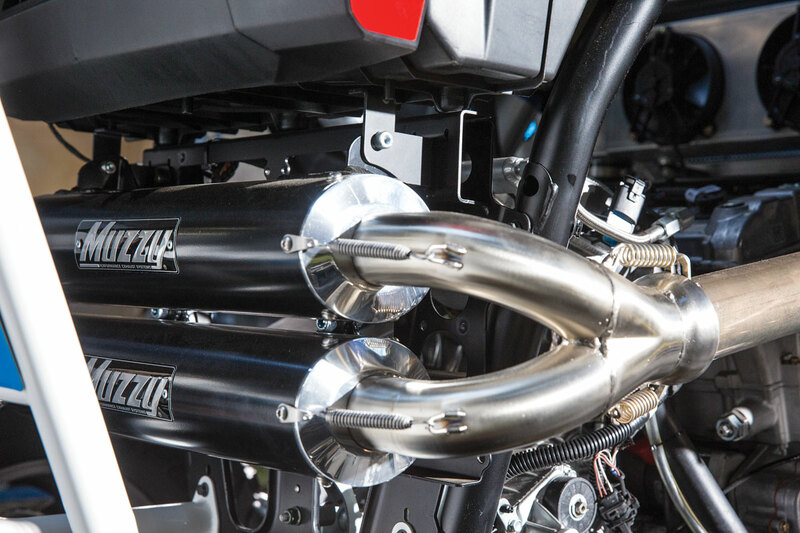 Construction: Muzzys made an all-steel, 2-into-1-into-2 exhaust for more durability, and it has brushed, polished or black mufflers and stainless steel, TIG-welded head pipes. Features: Muzzys’ Modular End-cap System (MES) contains USFS-approved spark arrestors and quiet cores, and the muzzler midsection is exclusive. 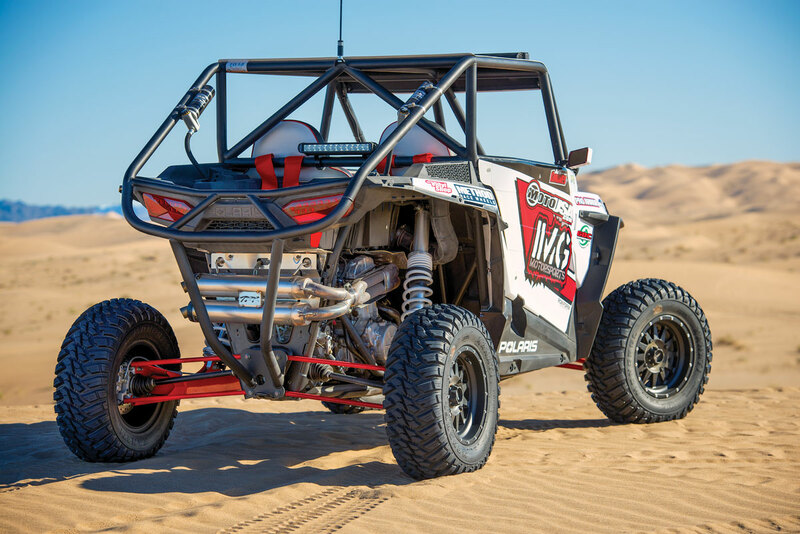 Muzzys claimed an 8-percent horsepower increase and 6-pound weight reduction, and the full system includes an integrated oxygen sensor bung and retains the stock heat shields. Muzzy retired; stock is still available. 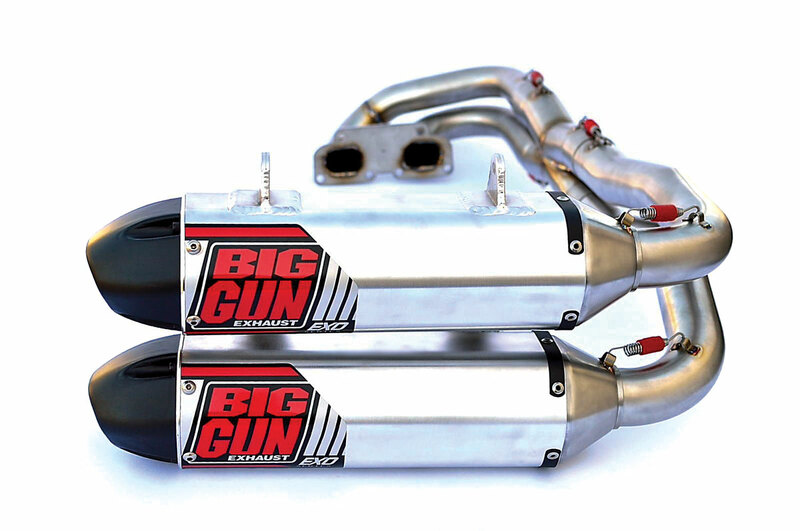 Construction: The Ron Woods Racing exhaust features a full-length, radius-tapered megaphone with a reversecone configuration before entering the muffler canisters. Large-diameter, 304 stainless steel head pipes are springloaded for engine movement. The system is completely TIG-welded with a brushed-satin finish. Features: The RWR system drops 9 pounds from the stock exhaust and can provide up to 10 percent more horsepower when optimally tuned. It is available with two different style end caps: one to accept the OEM spark arrestor and one that is purely for racing. Construction: Trinity’s Stage 5 exhaust headers and midpipes are made with fully TIG-welded 304 stainless steel. 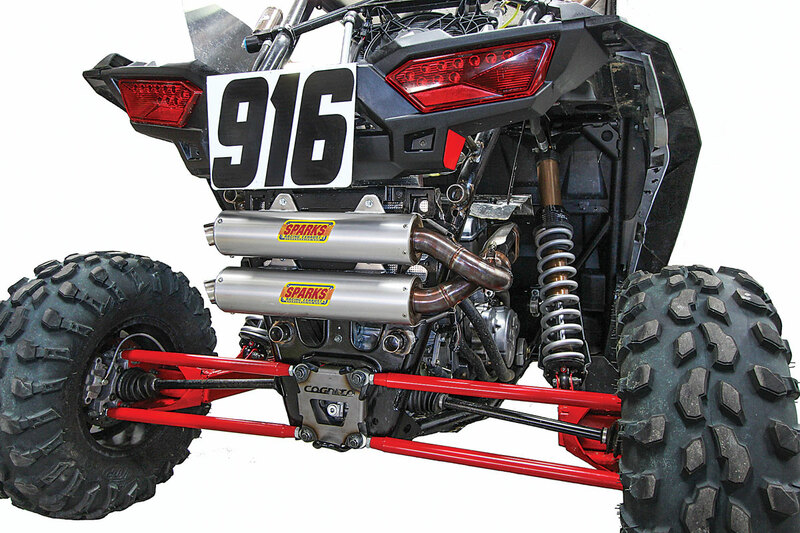 The dual mufflers are aluminum, and all brackets and clamps are 6061 billet aluminum. Features: The Stage 5 claims significant horsepower and torque gains, and a Dobek-style Trinity Stage 5 tuner is recommended for optimal performance. USFS spark arrestors are included. It’s 100 percent made in the USA and features a five-year warranty. It is available in brushed stainless or a powdercoated black finish. Construction: The dual S1R slip-on exhaust system is made with stainless steel canisters and mid-pipes for optimal performance and durability. The TBR exhaust also uses very trick-looking magnesium end caps that cut weight and last indefinitely. Features: TBR used extensive testing and race development to design an exhaust that leaves you feeling every part of the powerband. Even with the USFS-approved spark arrestor installed, you can expect to drop 4 pounds and gain 6.35 horsepower at the rear wheel. Construction: The Yoshimura slip-on exhaust is made of 20-gauge 304L stainless steel that is CNC-rolled and robotwelded with a stainless steel end cap. Features: The R-77 slip-on is super simple to install and features a trapezoidal-shaped sleeve for maximum strength. Premium packing is used to meet USFS noise specifications while maintaining performance.